A couple of weeks ago while grocery shopping; I was walking down one of the aisles when I saw one of those take one (recipes). You have probably seen them in your grocery stores too. The recipe is promoting a product that is sold in the store. I guess the companies put out these recipes by their products thinking that if you like their recipe that you will purchase their product to make the recipe. (I also found the recipe online when I looked up the product). The recipe that I saw was for skillet lasagna. It sounded like a nice easy dish, one that would be nice for during the week when there is not a lot of time. I did make a couple of changes, such as using boneless chicken breast instead of Italian pork sausage and adding a little more seasonings. 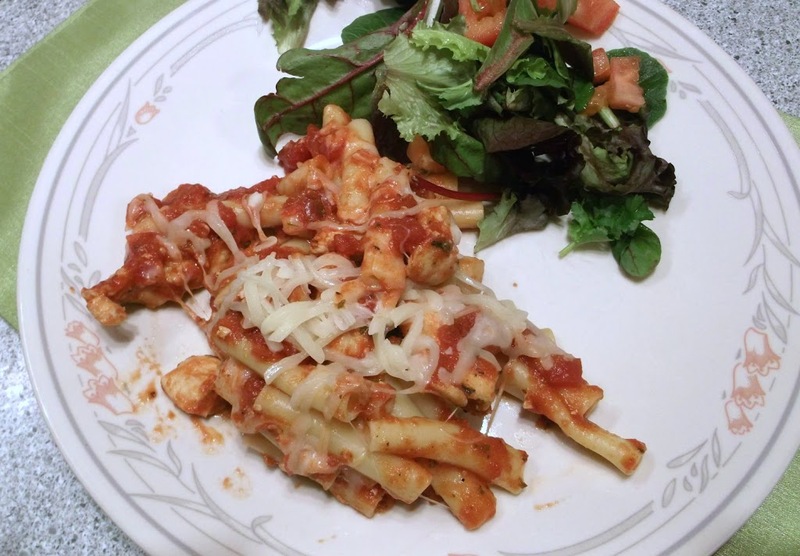 If you are a lover of pasta and chicken breast I think that you will enjoy this recipe; I know that we did. 2. Meanwhile, place chicken in large nonstick skillet, season with salt and pepper. Cook over medium high heat until chicken is no longer pink. Add undrained tomatoes, tomatoes paste, Italian seasoning and garlic powder; mix well. At this point add more salt and pepper if needed. Reduce heat to low; simmer 5 minutes stirring occasionally. Transfer sausage mixture to medium bowl; set aside. 3. Drain pasta in colander. 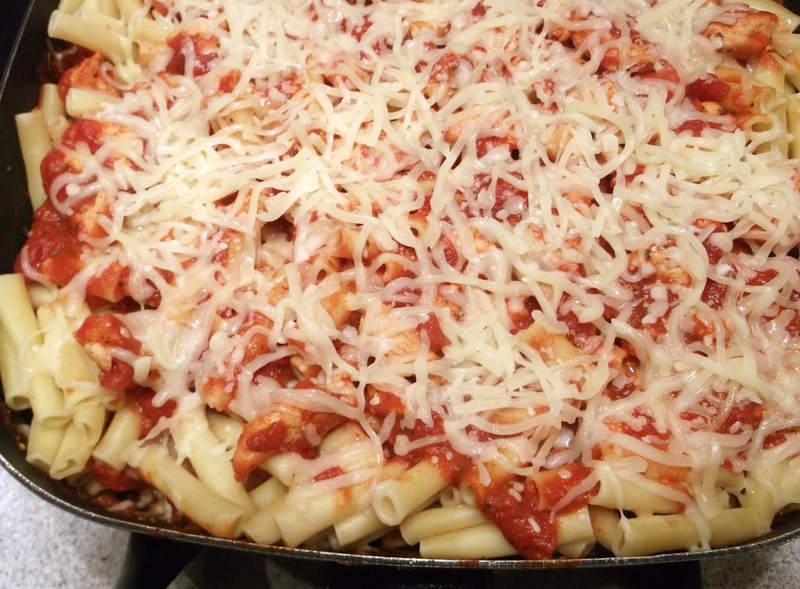 Place half of pasta in same skillet; top with half each of the chicken mixture and the cheese. Repeat all layers. Cover skillet with lid. Place over medium heat; cook 5 minutes or until all layers are hot and cheese melts. Remove from heat and serve. I have a new skillet just waiting to be used! This sounds yummy. I’ve never made skillet lasagna before. It looks simple and delicious. I love the idea of a chicken lasagna…and this unlayered version looks both easy to throw together and utterly delicious!!! Hope to try it soon. Have a great weekend!!! I love easy recipe like this. 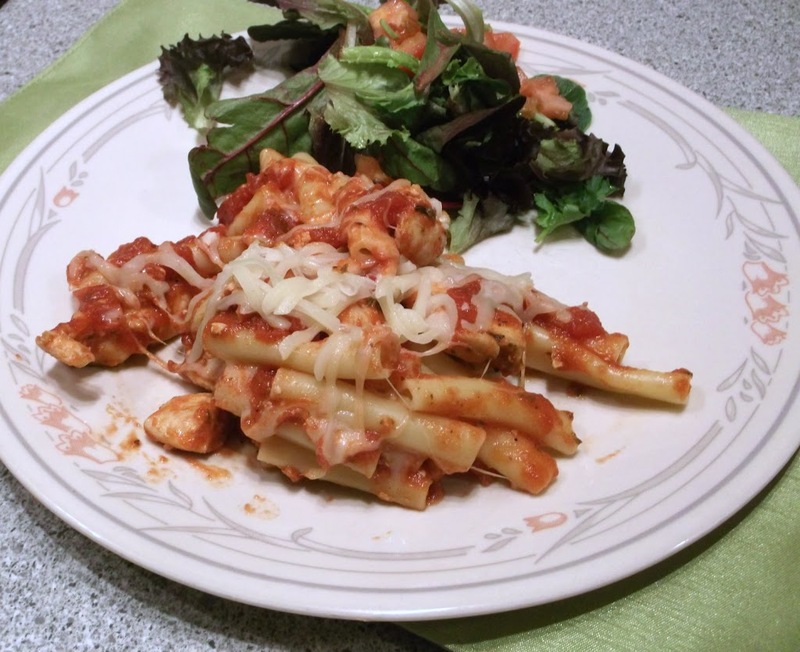 Great you substitute the sausage for a more healthy version of this lasagna. 🙂 Can’t wait to give this a try. Wow, this is easy! And a great looking dish. I love regular lasagna, but it’s a bit of a pain to make. This is perfect for a quick meal. Thanks!